A balance transfer is when you move debt from one account to another–that’s the simple answer. If you’re considering actually performing a balance transfer, however, there’s a lot more you need to know. A balance transfer is an excellent technique for getting credit card debt under control. You can consolidate debt from multiple accounts to one card, and you can reduce or eliminate interest rates in the process. Sometimes we need an APR reduction to catch up with our debts. Balance transfer credit cards exist for that purpose exactly. These cards grant up to 18 months of 0% interest on balance transfers, which gives you a window of time to pay down debts without incurring extra charges. If, for example, you transfer $5,000 in debt from a card with an 18% interest rate to a credit card with a 0% introductory rate, you will save over $700 in interest if you take the full 18 months to pay it off. How do I find a good balance transfer credit card? When selecting a balance transfer credit card, there are a few essential features to analyze. Length of introductory transfer APR. 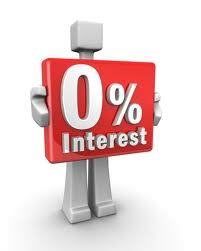 Most intro APR deals start at 0%. While the Credit CARD Act of 2009 requires intro periods to last at least 6 months, there is significant variation between introductory balance transfers, extending as long as a year and a half. Balance transfer fee. Unfortunately, transferring a balance is usually not free. Once in a while you’ll find a card that waives the balance transfer fee, but it tends to hover around 3% of the transferred sum. On a $5,000 transfer, you could easily pay $150. But considering the potential savings, the fee is often worth the cost. Minimum monthly payments. Before you proceed, make sure you can afford the monthly payments. Ideally, you’re aiming to pay off your debts before the intro APR expires, but that’s not always a realistic goal. Ongoing APR. If you will take longer than the intro period to pay off your debts, take a close look at the ongoing APR. The intro deal may grant you temporary reprieve, but the ongoing APR may be your demise. While hunting for a balance transfer credit card, prioritize the four categories listed above. However, you should read the card’s terms and conditions thoroughly before making a decision. Always pay attention to the annual fee, late fee, penalty APR and rewards. You should have a firm grasp on how the card can both hurt and help you. When you find an appealing card, run the calculations before signing up. Will transferring your balance actually save you money, and, if so, how much? At 18 months, the Discover it® has the longest introductory transfer APR period on the market. It is a noteworthy card not only because it has a great intro deal on transfers, but it also has a decent rewards program that allows cardholders to earn 5% back in rotating categories that change quarterly throughout the year. All non-category purchases earn 1% back. The Citi Simplicity goes beyond transfers and extends its 18-month intro APR to purchases as well. This card is made for debt, never charging late fees or penalty APRs. If you need a card that will cut you some slack from time to time, the Simplicity is will be your best friend. For balance transfers, the Chase Slate is second to none. Not only does it offer a 15-month 0% APR deal on purchases and transfers, but the balance transfer fee is waived for the first 60 days. With no annual fee and built-in interest management features, the Slate is the ideal card for paying down debts.